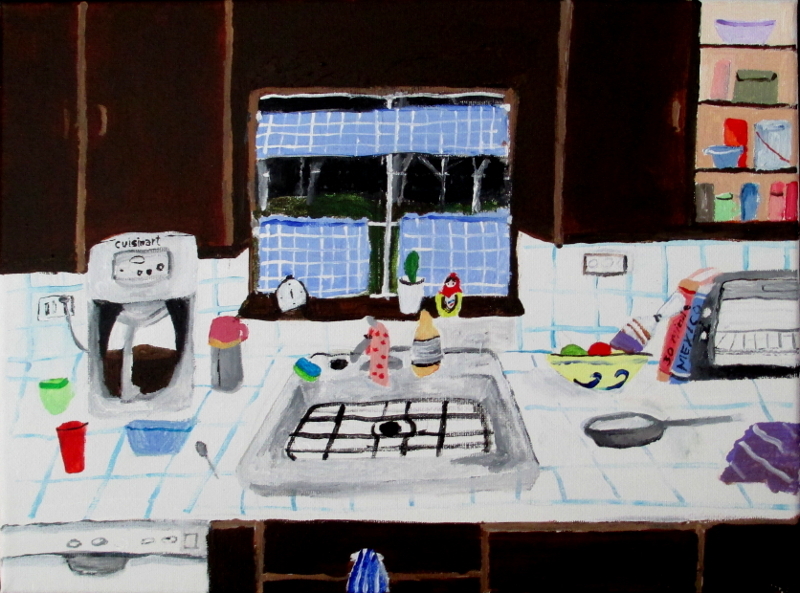 Polly Shindler, Laundromat, 2017, Acrylic on canvas 11" x 14"
Polly is a prolific painter, who over the years has toggled between abstraction and realism. She has long been a collector of objects, images, textures and ideas. 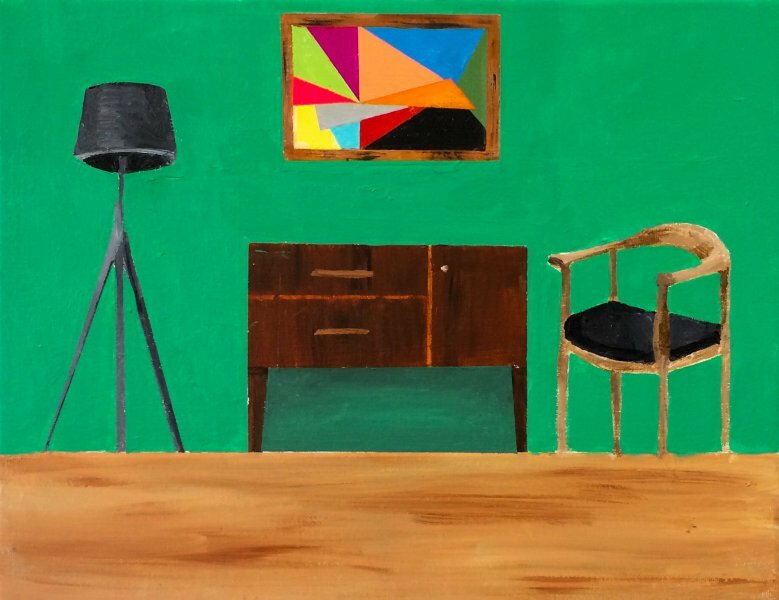 In the past couple of years, Polly has become fascinated by furniture, interior design, and imagined domestic spaces decorated with objects she finds both in the real world and on the internet. Her paintings deal with myriad subjects, a few of which are the human yearning for privacy, the push and pull between real and imaginary, as well as the complex history of painting. Polly Shindler, Living Room at Sunset with Morris Louis, 2018, Acrylic on canvas 11" x 14"
Polly Shindler, Pink Room with Marble Table, 2018, acrylic on canvas 11" x 14"
Polly Shindler, Any Night, 2017, acrylic on canvas 9" x 12"
Polly Shindler, Early Morning Riser, 2017, acrylic on canvas, 9" x 12"
Polly Shindler, View From Balcony, 2018, acrylic on canvas, 14" x 11"
Polly Shindler, Pink Couch on the Ocean, 2018, acrylic on canvas, 16" x 20"
Polly Shindler, Wood Credenza with Framed Geometric Painting, 2018, acrylic on canvas, 11" x 14"